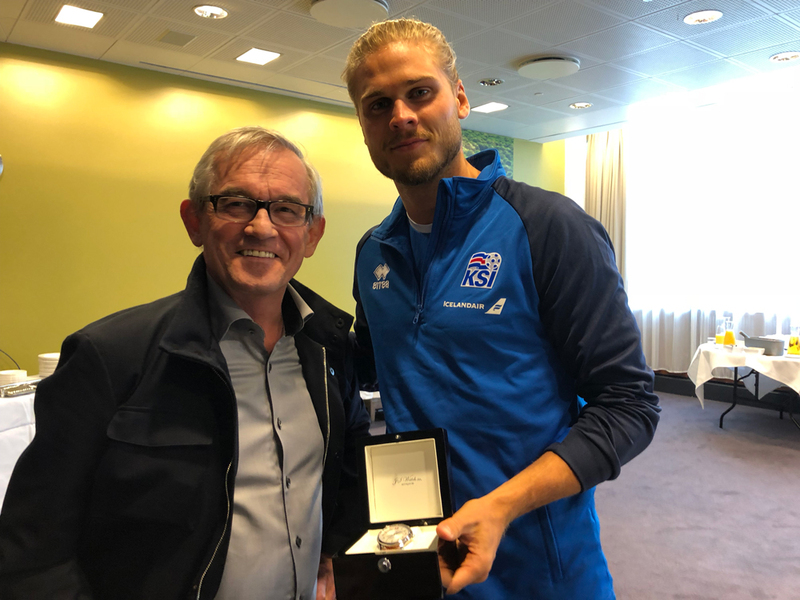 JS Watch Co. Reykjavik is very proud of the cooperation with the players in the Icelandic men's national football team, designing and producing for them two limited edition watches as memorandum for qualifying for the first time for the UEFA Euro cup in 2016 and then the FIFA world cup in 2018. With a population of around 330,000, Iceland is also by far the smallest nation ever to qualify for the World Cup championship. 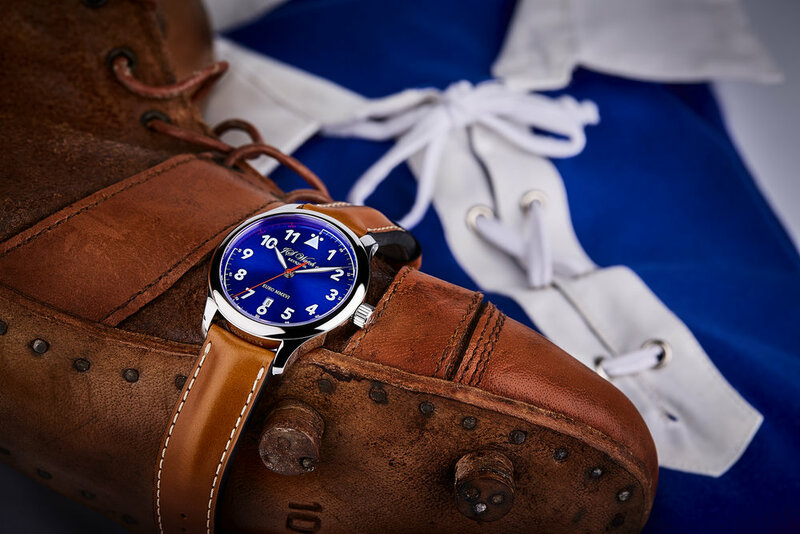 The team also made history by reaching the qualifying for the UEFA Euro Cup back in 2016 and JS Watch Co. Reykjavik also designed a limited edition watch in celebration of that event. 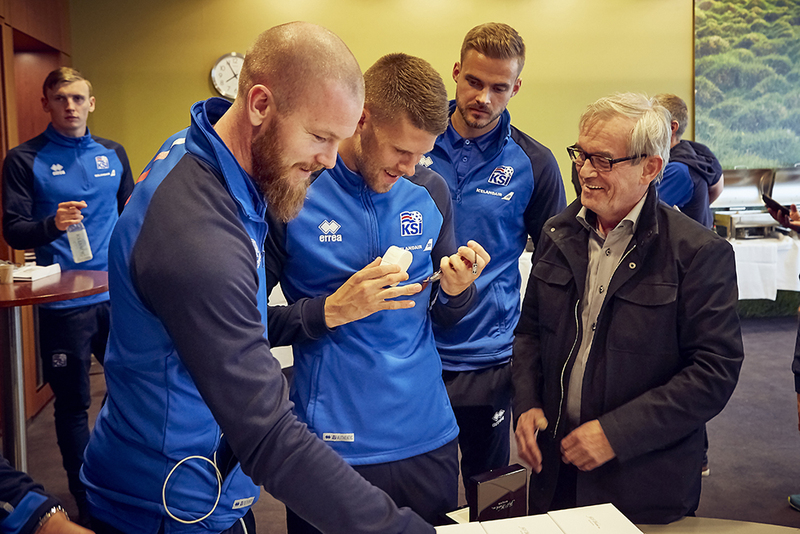 When it was clear that the Iceland had qualified for the FIFA World Cup for the very first time, the Captain of the Icelandic National Team Aron Gunnarsson came to visit us expressing the team members' interest in creating a new watch in special celebration of this remarkable achievement, we then started to lay down some ideas for the design of the watch. 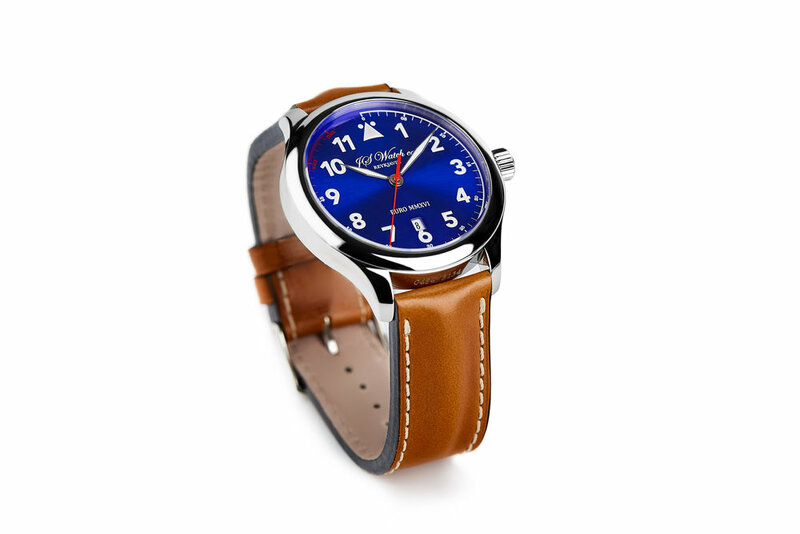 We wanted to keep on using the national colours of the Icelandic flag like we did for the Euro MMXVI watch we made when this team also made history by qualifying for the UEFA Euro Cup back in 2016, but we also wanted to add more small details into the watch to reflect the spirit that has built up around this special National team. 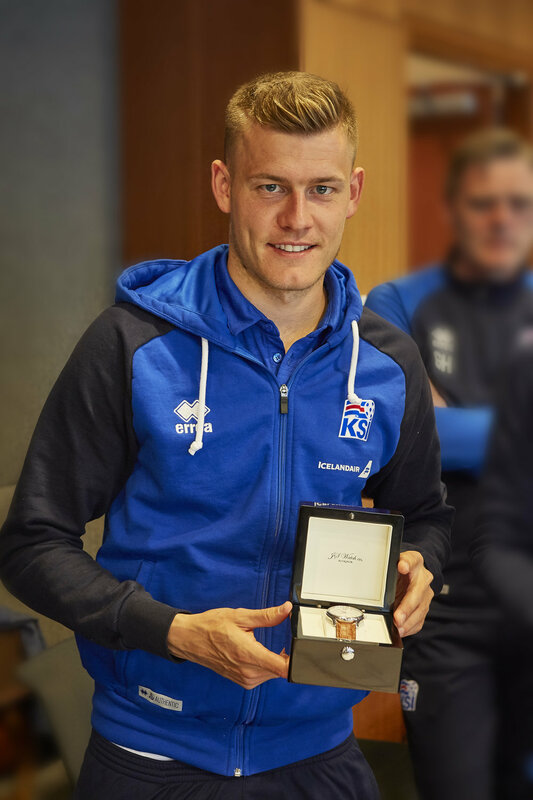 In the dial design of the World Cup watch you will find small details like "Fyrir Ísland" translated "For Iceland", which is also written inside the small neck label on all the shirts of the team members, you will also find numbers from 1 - 11 in silver for the players on the pitch and the 12 in red for the twelfth player dedicated to the undying support of the Icelandic fans who have been given the collective title “Tólfan” (“The Twelve”), as they are considered to be the twelfth player in the team. 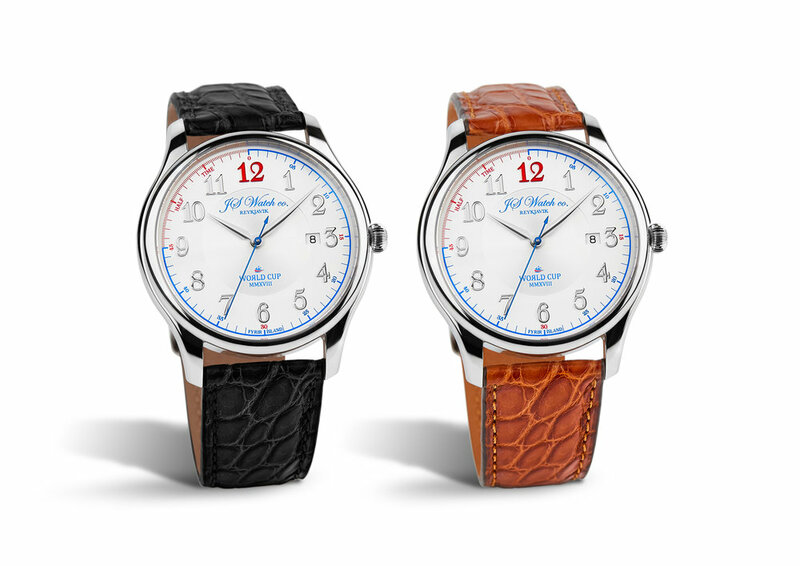 The minutes in blue from 0 to 45 representing the Game Time and the 45 to 60 minutes in red saying Half Time instead of 50 and 55 minutes, this idea originally came from a game time clock that was located on the National stadium "Laugardalsvöllur" and also "Melavöllur" where Master Watchmaker Gilbert played Soccer with his team Fylkir back in the day. For battle you also need a weapon so we designed a blue second hand in the shape of a viking spear. The WOЯLD CUP MMXVIII logo has a reversed R as a special memorandum for the nation hosting this years FIFA World Cup, but Russia has it's own special alphabet with a reversed R so we found it ideal to use it in their honour although it is pronounced as "ja" in the Russian language - ja or já also means yes in Icelandic. 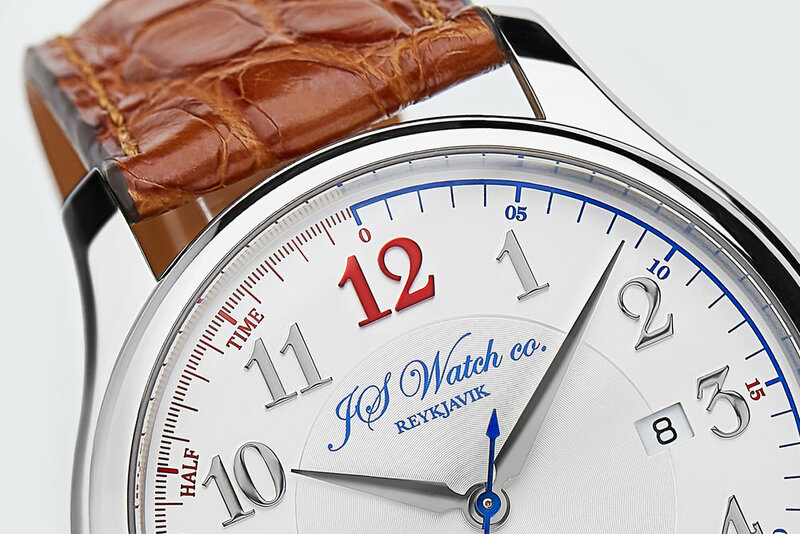 The back of the watch is engraved with JS Watch Co. Reykjavik, World Cup MMXVIII and another special detail reflecting the spirit that has built up around this unique National team "VAR ÞAÐ EKKI" a celebration chant the team whispers in the locker room after victories. Direct translation would be something like "WASN'T IT SO?" 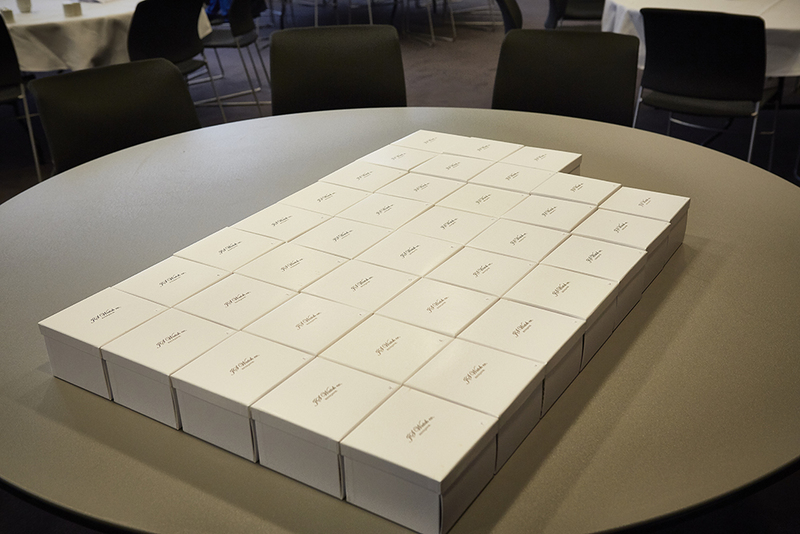 And everyone in the team responds to it by shouting "YEAH!" 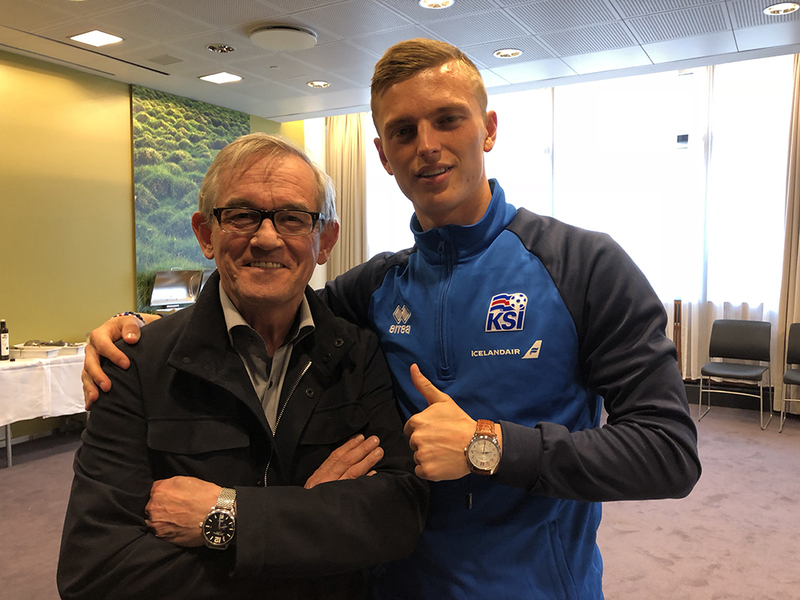 Iceland's ascent as a footballing nation, falling at the final hurdle of 2014 World Cup qualification before becoming one of the first to qualify for Euro 2016, has been one of the big surprises in recent years. Despite an average daily temperature hovering around freezing for nearly half the year, Iceland has been slowly creeping toward the upper echelons of European football since the new millennium. 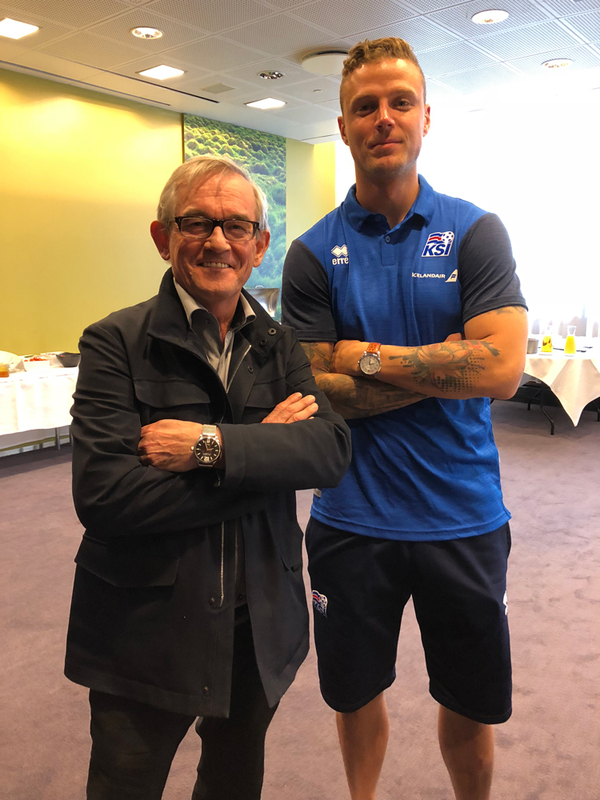 Iceland became the smallest nation to qualify for the finals of the European Championship thanks to their point from a goalless draw with Kazakhstan. The Nordic island nation boasts an estimated population of around 330,000 people. Six wins from their previous seven games proved to be a more than solid foundation and a further Group A point, secured against Kazakhstan in Reykjavik, got Iceland over the line. Prior to Iceland’s success Slovenia had been the smallest nation to reach the finals when they qualified for Euro 2000. Its population was estimated at 1,988,292 in July 2014 by the CIA World Fact book, a small number in itself but dwarfing the population of Iceland. Northern Ireland - whose population was recorded at 1.81m by the 2011 UK Census - would become the second smallest country to be represented at the Euros behind Iceland should they qualify. Latvia are the third smallest nation in history to have qualified, reaching the finals of Euro 2004 in Portugal. Its population in July 2014 was estimated at 2,165,165 by the CIA. 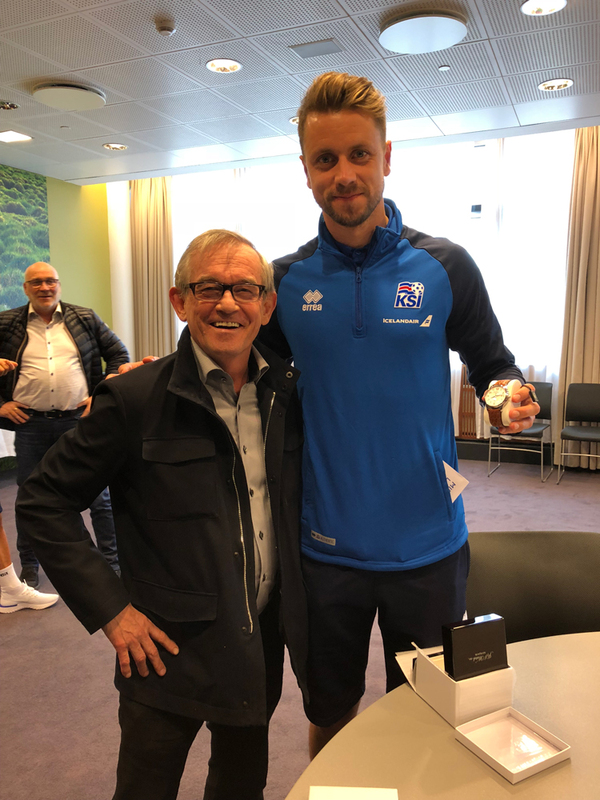 Iceland then qualified for its first-ever FIFA World Cup in 2018, with a population of just over 334,000 people, Iceland's 2-0 win over Kosovo in Reykjavik made them the smallest nation ever to qualify for the tournament. The celebratory wave of thunderous viking claps between players, team staff and supporters really stood out. The stirring celebration is a representation of the country's norse background and was first seen on a football pitch all the way back during Iceland's dream run of form at the 2016 Euro football championships. The team managed to make the quarter finals of that tournament, and also upset competition giant England before celebrating with their now-famous clap. To get to this point, Iceland recorded victories against Ukraine, Finland, Turkey, Croatia and Kosovo to top its group with seven wins from 10 matches and seal its spot in this year's competition. 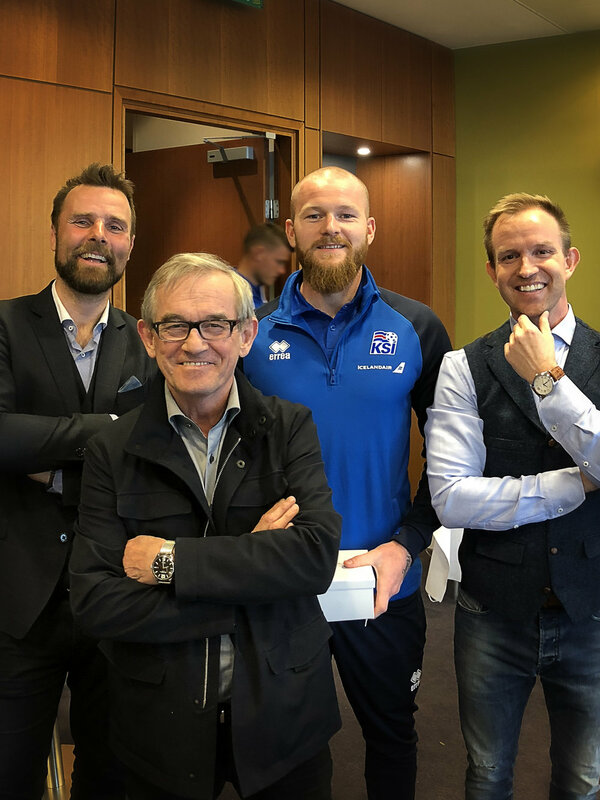 And all along the way, the thunder clap has followed and yet, most important of all, it was noted around the world that the Icelandic team has a unique bond with their fans. 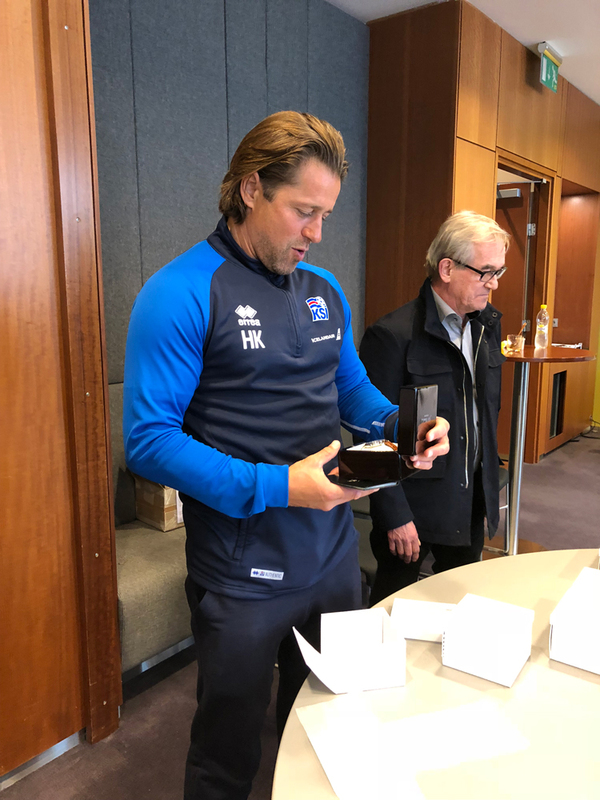 Given the gravity of the team’s achievements and the small population of their home country, the players could claim confidently that they knew ‘at least 50% of the Icelandic crowd’. Iceland is by far the smallest nation to ever reach the World Cup finals, breaking the record set by Trinidad and Tobago who has a population of 1.365 million.